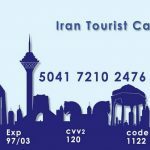 visit-iran : Iran has many attractions which can satisfy any kind of tourists’ taste. From ancient monuments of the Achaemenid and Sassanid empires, magnificent and mystical architecture of Islamic period along with diverse climates and landscape Iran can be an attractive destination to spend a rich & fun holiday in. 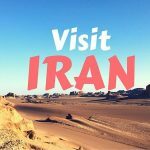 Although some political and social issues may discourage tourists to travel to this interesting country, but if anyone is adventurous and curious enough will definitely put Iran on the list of must see. 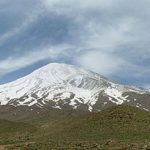 Contradictions will shock you: You certainly have heard a lot of negative things about Iran in media so only experiencing Iran for yourself can show you the real Iran. With its large young and educated population the first thing that makes you wonder is familiarity with English language and modern technology. Near to 60 percent of Iranians use Internet and mostly from smart phones. Forget everything you might have seen or heard about Iranian’s clothing. Although Iranian women are obligated to respect Hijab and covering their hair, nothing can prevent them from wearing fashionable and colorful clothes. Experience a country as old as history: The country we today know as Iran, is a part of bigger area where used to be the first residence of human kind. Almost everywhere in Iran there are signs of ancient life and culture, maybe the most significant of these monuments is Persepolis the ceremonial capital of the Achaemenid. Although many consider it as the most attractive ancient historical monument, other monuments and architectures can be also interesting for history lovers, such as ziggurat of Choghazanbil, Sialk ancient mounds, Shahr-e Sukhte, Susa, etc. Cultural diversity: A vast country like Iran expands within several meridians and as a result has many divers’ climates which force people to adjust their living and lifestyle with the climate and circumstance they are living in.